I’ve been meaning to try this recipe for quite a while. 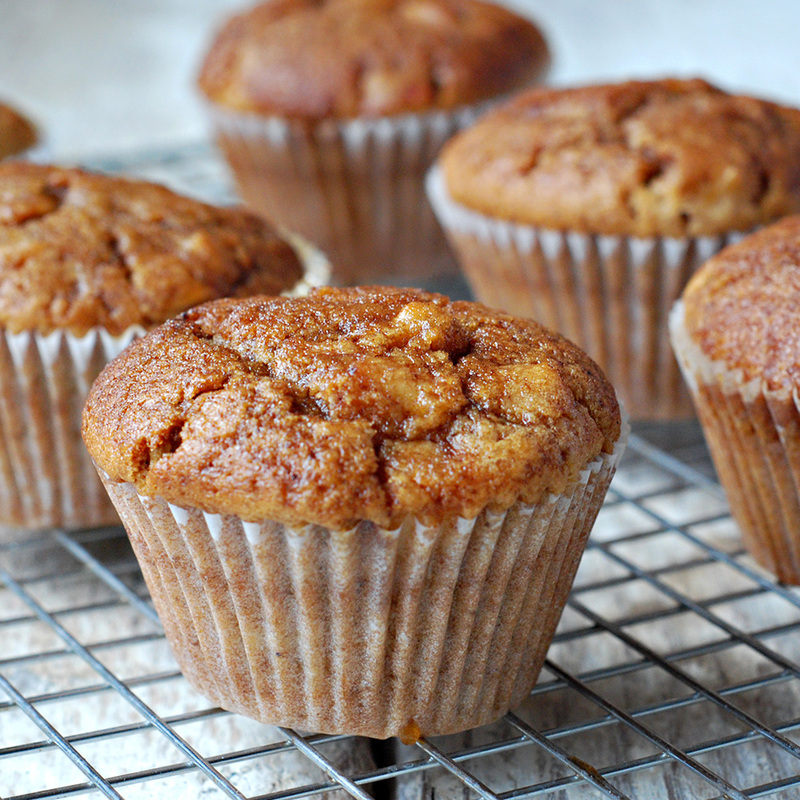 The mixture apple, cinnamon and nutmeg is a match made in heaven and these muffins are perfect for any occasion. You’ll see that it takes no longer than 10 minutes to prepare and you can even do it with your kids. I’ve done something similar with my three year old niece and we both had a really nice time. The only difficult thing about this recipe is to wait until the muffins cool down before eating it as the whole house will be smelling like Christmas morning. In a large bowl stir together the flour, baking powder, salt, nutmeg, cinnamon and light brown sugar. Add the almond milk, oil, vanilla paste and the apple. Spoon the mixture evenly into a greased muffin tins and bake it for 16 minutes at 200c or until a fork comes out clean. Mix together margarine, sugar and cinnamon. Dunk each muffin on the mixture while still hot and let it cool down on a rack before serving. This is a great alternative to apple crumble! Love the addition of the ‘Christmas’ spice. Wow, looks really good. Can’t wait to have it. Hope I will have it soon. Anyway, thanks for sharing. Nice post. This muffin looking so delicious, it make me to have it. Thanks for sharing this post. Wow amazing! I like bakery foods. It is looking delicious and simple step to do i will try this. Thanks for sharing your useful post with us. Is it really a tablespoon of baking powder? Or is it a teaspoon?